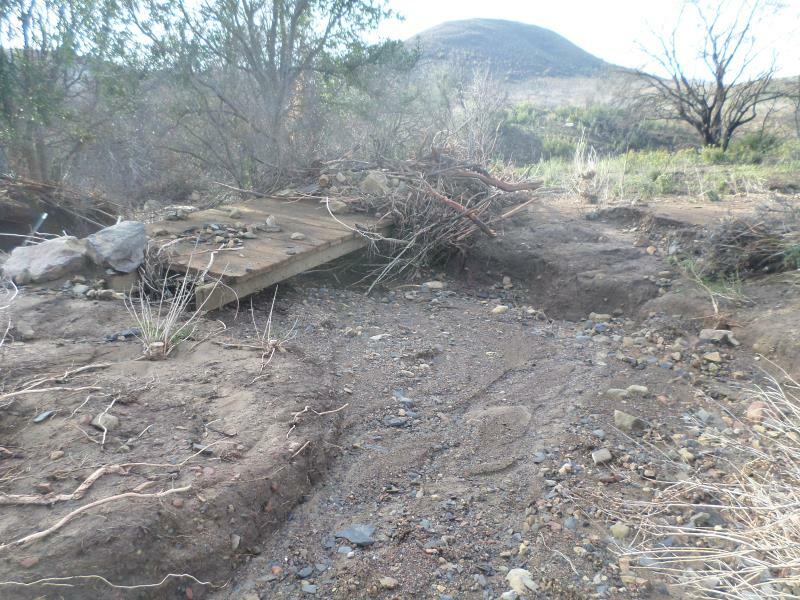 As reported earlier this month, Point Mugu State Park has been closed to the public while the damage to the trails is being assessed and repaired. Heavy equipment has been working to reestablish Sycamore Canyon and the public is still being asked to stay out of the park until such time as it is safe. Trucks will be bringing in dirt from the slides that covered Pacific Coast Highway to aid in repair. State Parks’ Angeles District Superintendent Craig Sap stated that the closure will extend until February 1, but that all attempts will be made to lift the closure sooner if possible. Click here to see additional photos by Craig Sap of the mud slides effecting PCH and Point Mugu State Park. 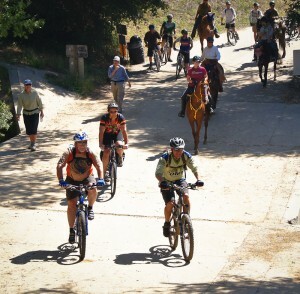 Bikes, horses, hikers and runners. We all love trails. 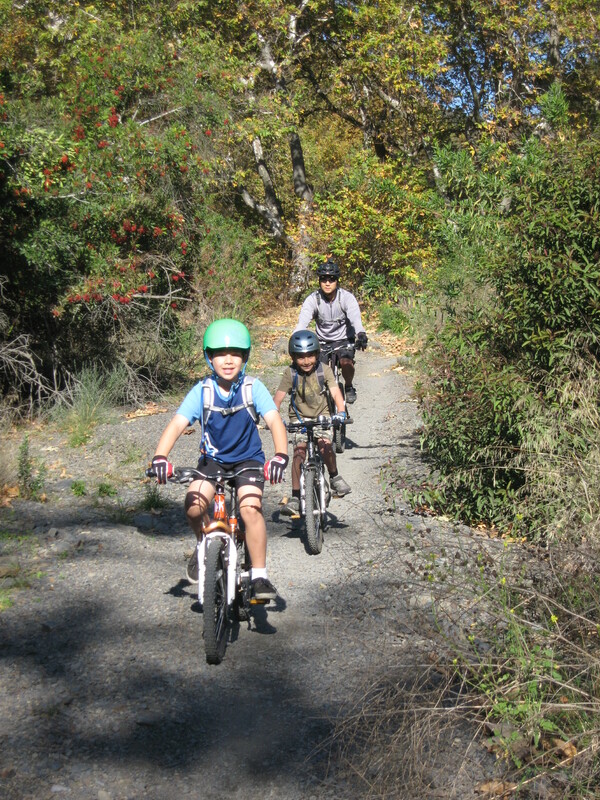 Recently a bicycle club-team representative contacted CORBA wanting to see what more they could do to get more of the trails that are currently closed to bicycles opened up to shared use. A couple of comments from the correspondence were that they thought that showing up in larger numbers to public meetings would help, and that they thought the main reason that trails were closed were because of an influential public anti-bicycle lobby. I wrote back to the person who contacted me, and in doing so came up with what I think is a good overview of what CORBA has been doing for the past 26 years, and continues to do on behalf of all public backcountry trail users (see below). Yes, CORBA is a mountain bike organization, but we are more than that, and here’s why: We believe that shared use works better because it disperses use, rather than concentrating it. When you disperse use, you reduce congestion, and when you reduce congestion, you reduce confrontation. 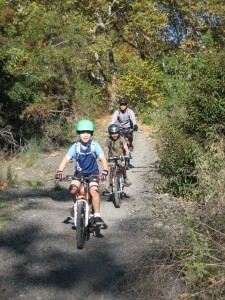 Moreover, it has been shown that where shared use trails exist, it works. Maybe not perfectly, but certainly better than where there are restrictions to bicycles, because shared use also fosters cooperation. Bicycles do mix when operated considerately and with the safety and serenity of other trail users in mind. And that’s the crux of the issue: If bicyclists would simply slow down around others, including other bicyclists, they would be solving the problem of both dangerous speed, and the “startle factor,” or the disruption of another’s peaceful enjoyment of the backcountry. This year CORBA celebrated its 26th anniversary. In that time we have made many strides to opening trails to shared use (hiking, equestrian, bicycle) in the Santa Monica Mountains National Recreation Area, Angeles National Forest, Los Angeles County, and Eastern Ventura County. We have participated in hundreds of public meetings with land managers over the years. 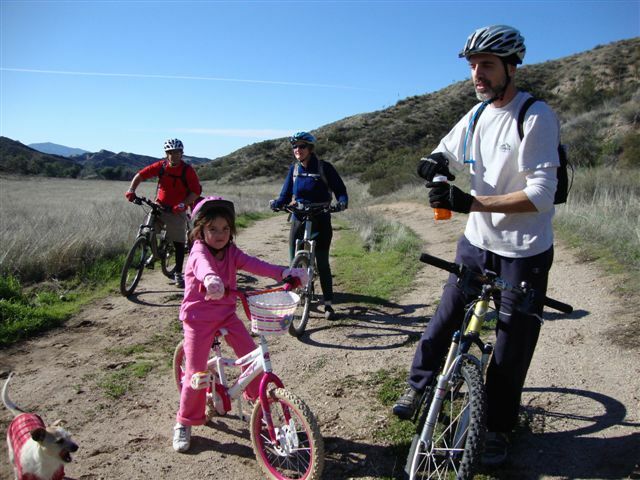 Land managers recognize and continue to adapt to the growing bicycle population and changing demographic profile of the trail user community. They are certainly aware of the needs and desires of the mountain biking community through CORBA’s efforts, which include quarterly meetings with principal agency managers (National Park Service, State Parks, Mountains Recreation and Conservation Authority). We are also in constant communication with these agencies and/or when the need arises to address a specific issue. CORBA also works closely with the Mountain Bike Unit which aids the rangers and community with safety and education. 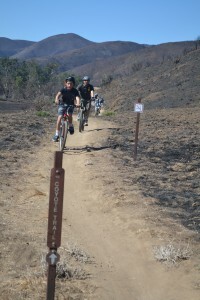 CORBA also schedules and organizes regular trail maintenance work days s in conjunction with the Santa Monica Mountains Trails Council and Conejo Open Space Conservation Agency. 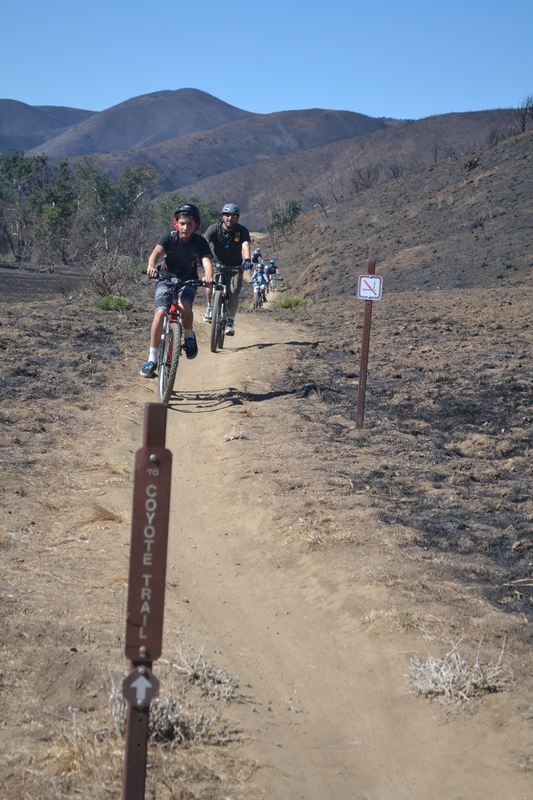 CORBA is also heavily involved with the Angeles National Forest with trail maintenance and volunteer patrol participation. Due to CORBA’s efforts, most of the singletrack trails built in the last 25 years are shared use (not to mention a lot of the singletrack that already existed not getting shut down). As you can see, there is more to getting involved than just showing up at meetings in large numbers. The issue of bikes not being allowed on trails is more than just politically active opponents to bicycles; it is mired in an outdated management policy of restriction that is predicated to a large degree on ignorance and a status quo mentality. Within the last few years there has been a systemic change for adopting shared use as the overriding management strategy. It is a slow moving process but we do see a very strong indication that within the next few years we will see many more trails opening to shared use on a statewide basis than currently exists. This change comes from consistent efforts not only by CORBA, but mountain bike advocates all over the state, with assistance from the International Mountain Bicycle Association (of which CORBA was a founding club in 1988). The one concern that is always at the forefront of managers’ minds is safety. It is agreed by everyone that bicycles are an acceptable form of public open space trail recreation. However, it is when riders go too fast around other users as to make it an unsafe or even just an unpleasant experience that gets mountain bikers a bad reputation, and gets the managers to thinking about restricting bicycles. If everyone would just slow down when passing others, and slow down into corners so they don’t scare others on the other side, we would pretty much solve the problem. I am not saying you shouldn’t go fast, I’m just saying do it when conditions are safe. Due to circumstances beyond our control, we must cancel our Town Hall meeting at Paramount Ranch this Saturday January 26. We apologize for any inconvenience this may cause. Stay tuned for upcoming announcements regarding meetings to discuss shared use issues with agency representatives of the Santa Monica Mountains National Recreation Area. Happy Trails! Thanks to the enthusiastic efforts of CORBA members Larry and Kat Ross, Dave Grant, Dave Lamon, and their respective children, CORBA is pleased to announce monthly Kids Club fun rides. 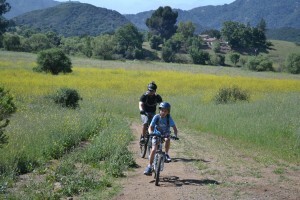 Held at various locations around the Santa Monica Mountains, these kid-friendly organized rides are intended to build confidence, promote health and wellness, share knowledge of trails and riding techniques, teach respect for each other and the environment, and inspire the next generation of mountain bikers and CORBA volunteers! Children of all ages and abilities may attend (parent or guardian must be present and sign a waiver), and trailers/trail-a-bikes are welcome. Have questions? Please email us at corbakids@corbamtb.com. 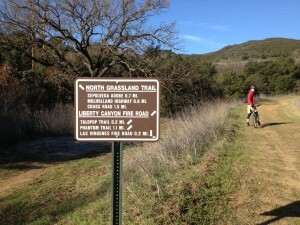 Next ride is this Sunday, March 6th at Malibu Creek State Park. Click here for details and to register.